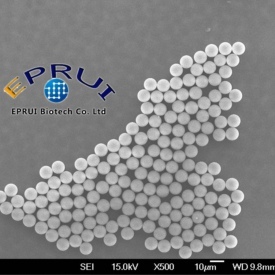 Monodisperse microspheres are microbeads with narrow particle size distribution. We use CV, coefficient of variation to evaluate the uniformity of beads. The lower of CV, the narrower of the particle size distribution. 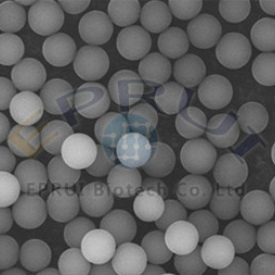 There are various materials can be synthesized as monodisperse microspheres such as polymer, silica and TiO2. 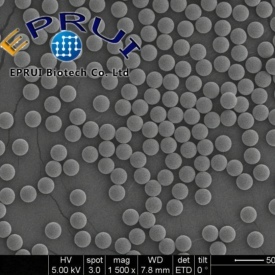 EPRUI Biotech Co. Ltd. is expert in making monodisperse polymer microspheres: monodisperse polystyrene microspheres, monodisperse PMMA microspheres, monodisperse GMA microspheres as well as monodisperse silica microspheres. 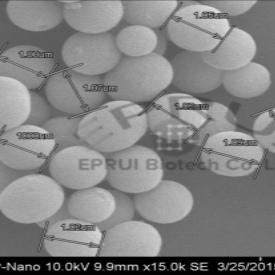 We can make 20 nm – 1000 um monodisperse microspheres with controlled narrow particle size distribution as well as targeted functionalization. 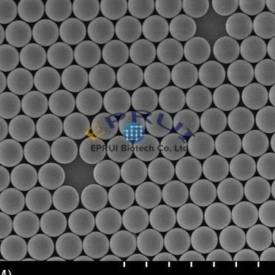 How to synthesize monodisperse microspheres? 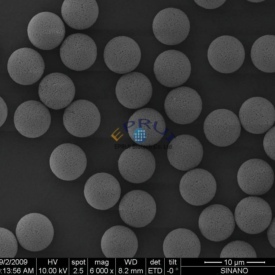 In order to synthesize monodispese microspheres, an efficient procedure was employed by combining dispersion and seeding polymerizations together. The polymerization can be divided into two processes: nucleation and growth. 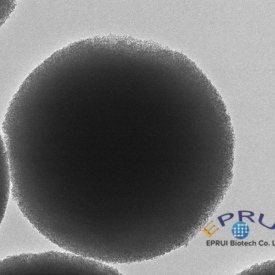 Monodisperse polystyrene seed colloids with a diameter of 2 μm were synthesized in the nucleation process using dispersion polymerization, and then the seed colloids were swollen by monomer and further polymerized in the growth process. 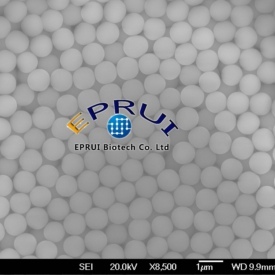 Finally, monodisperse polymer microspheres with an average diameter of 10 μm were obtained. 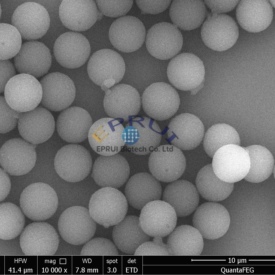 Monodisperse particles are often used in the field of self arrangement of microspheres, filter membrane screening, fluid dynamics research, photonic crystal film formation, instrument calibration, particle size standard, chromatographic as well as medical and biochemical industries. Spacer grade monodisperse microbeads are specifically designed with a sharp maximum diameter cut-off to control bond-line thickness (gap thickness) of an adhesive layer. For this application, the customer will mix these microspheres into the desired adhesive. Just a small amount of spacer beads can create a controlled gap as well as precisely define and maintain specified bond-line thickness. Spacer grade monodisperse microsphere was specifically developed for those customers seeking extra tight bond line control. Glass and silica spacers offer the extra benefit of high crush strength, resistance to most solvents and high temperature performance.